The Colombian singer and rapper is reinventing the fading genre by breaking all of its rules. For hours, they waited in the rain. Hundreds of people, mostly women, were packed onto the sidewalk outside Times Square’s Playstation Theatre, hoping to score a meet-and-greet with rising reggaeton star J Balvin before his sold-out show. To many passing by on that early October evening, the name J Balvin wouldn’t mean a thing. But for a slice of Latino America, he’s bigger than Bieber and hotter than pretty much anything on the Billboard charts. Backstage, the Colombian singer and rapper is splayed out on a black vinyl couch, dressed in a T-shirt and jeans. He’s glued to his phone, attending to the millions of Instagram and Twitter followers he has accumulated over the past couple of years. These are the final days of his first headlining tour in the States, playing 2,000-seat theaters across the country, and he’s finally getting used to the adulation. “I used to work here as a dog-walker and painting houses, and now being in New York with my own tour and a sold-out concert…it’s amazing,” he says. Balvin’s single “Ginza” has been number one on the U.S. Latin charts for five straight weeks. Last year’s “Ay Vamos,” his first track to claim the top spot, has over half a billion plays on YouTube and earned him a Latin Grammy for Best Urban Song. Earlier in November, he hopped on the official Latino remix of Justin Bieber’s “Sorry,” after having contributed a verse to the Spanish language remix of Major Lazer and MØ’s summer smash “Lean On” this past July. 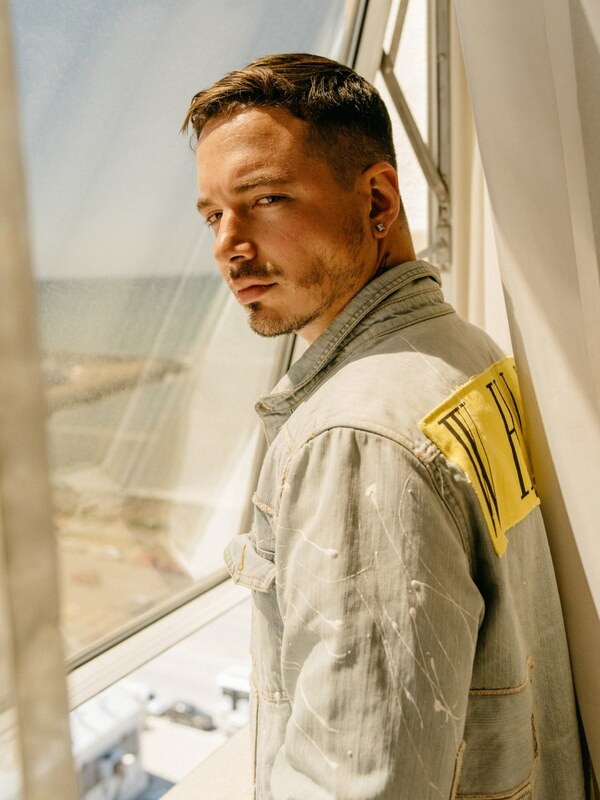 The 30-year-old, born José Osorio Balvin, has become the face of reggaeton’s second coming, the leader of a new generation of stars who are rewriting the rules of música urbana. “I think it’s like anything in life,” says Balvin. “Things happen, new ideas come, there’s a reinvention.” If reggaeton’s original run in the Daddy Yankee era a decade ago was about upping the gasolina, Balvin’s is about putting a foot on the brakes. His beats are brooding and sultry—almost as if you dropped dembow drums with some minimal techno. More often than not, he sings over those beats instead of rapping. While old reggaeton’s lyrics tended to be hood tales, in-the-club stunting, and odes to the majesty of butts, Balvin coos about the complexities of being in a relationship. On the chorus of “Ay Vamos,” for instance, he sings, We fight/ We fix it/ We’re stuck in the same pattern, but we love each other/ Let’s go. Consider his style: Rather than the fitted hats and bubble jackets of reggaeton yore, you might catch Balvin in an AC/DC shirt, ripped jeans, and a cowboy hat, or wearing some pieces of high-end streetwear. Consider, too, his public-facing persona. Nearly every morning, he greets his social media followers with a goofy video of himself drinking a cup of coffee. He Snapchats incessantly. His pouty selfie game is very strong. Another notable singularity is that Balvin is from Colombia and not Puerto Rico, the island that nearly every artist to ever find success in the genre calls home. Reggaeton was born in Panama, where descendants of canal workers from Jamaica began refitting popular dancehall tracks into Spanish in the early ’90s. But the sound eventually traveled to New York on the immigrant superhighway, and then to Puerto Rico, where a hard-edged rap y reggae mixtape movement took root in the island’s public schools and housing projects. In 2005, Daddy Yankee, once a tween mixtape sensation, blew up in a way nobody could have predicted with his album Barrio Fino. Reggaeton became a global phenomenon and Puerto Rico became the center of a booming music scene. Yet at the very same time it was dying down in Puerto Rico, reggaeton was getting more popular than ever in other parts of Latin America—especially in Colombia, and especially in Balvin’s hometown of Medellín. Medellín is best known to Americans as the center of Pablo Escobar’s former cocaine empire. But within Colombia, it has the reputation of being a style-conscious party city, as well as the country’s industrial capital. Paisas, as its residents are known, are famous for their hustle. Balvin grew up in the outskirts of Medellín in a well-off family that fell on hard times when he was a teen. At 18, he moved to the U.S. to do a high school exchange in a rural Oklahoma town. After his program ended, rap dreams took him to New York. There, he lived with an aunt in Staten Island and worked as a dog walker. Then, he tried Miami for a minute. When things weren’t going anywhere with his music, he went back to Colombia. Back in Medellín, Balvin became part of production team called Infinity Music. They built a little studio, recorded tracks, and went around the country shopping their sound. “We traveled by bus, ate the cheapest fast food, spent hours and hours outside radio stations. We worked ourselves hard,” Juan Pablo Piedrahita, a manager at Infinity Music, told me over the phone from Medellín. In order to be successful in Colombia, Balvin and his Infinity team had to make a different kind of reggaeton. “Reggaeton was categorized as ‘bad music’ here—that it was music for criminals, that it talked badly about women, for example,” Piedrahita says. “With Balvin, we never did that, we made songs about everyday life.” People in Colombia don’t want to hear about the streets like they do in other places, agrees Balvin. “We have a very violent past. We’ve lived the stuff people see in movies and we didn’t like it. The country wants to move past that stuff,” he explains. In part thanks to Balvin and Infinity Music, the periphery has now become the center. “Medellín has become the world capital of reggaeton, in my point of view,” says Toy Selectah, speaking over the phone from London. 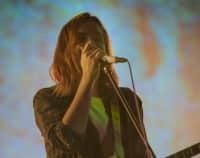 Selectah, an industry veteran from Mexico, produced the Latin remix of “Lean On,” which Balvin performed alongside Major Lazer and MØ at the Latin Grammys earlier this month. “The proof is that a whole group of reggaeton artists from Puerto Rico—Nicky Jam, Alberto Stylee, Ñejo y Dalmata—all have moved to Medellín or have started spending a lot of time there because they want to be part of a platform and network that is keeping the genre alive,” says Toy Selectah. The result is a música urbana sound that is identified with Medellín—more subtle, more relaxed, and more in line with what’s happening in mainstream U.S. hip-hop than the erstwhile style of reggaeton. Or, as its detractors would say, it's softer and poppier than the old-school stuff. Besides Balvin, the city has produced rising reggaeton stars like Maluma, whose YouTube videos have been viewed as many as 100 million times apiece. And the Puerto Rican artists who are getting the most radio play right now, Nicky Jam and Farruko, have taken on some of the silky Medellín sound for themselves. Medellín’s música urbana scene has been super successful, but it’s only one piece of the story. Aftershocks from reggaeton’s 2005 explosion have gone far and wide. In the Dominican Republic, the hyperactive dembow dominicano scene goes harder than ever. And in the dance world, the mix of reggaeton and electronic music known as moombahton is having its crossover moment. Two of the songs Balvin has remixed are based around moombahton drops—Bieber’s “Sorry” and Major Lazer’s “Lean On”—and are global pop anthems.